It would seem that in 2013 Iceland is certainly the hotbed for emotive soundscapes, be it the latest Sigur Ros album, ‘Kveikur’ or the stunning, breakthrough album from Ólafur Arnalds, ‘For Now I Am Winter‘. And One Little Indian have also been mining the Icelandic wells and pulling up some absolute treasures. A couple of weeks ago we reviewed Samaris and now the label is preparing to release the debut album from Ásgeir – Iceland’s biggest musical export since Björk. Born and raised in the hamlet of Laugarbakki (population, 40) in the wilds of Iceland, Ásgeir comes from a large family of musicians. Last year, at just 20 years of age he became an overnight sensation in Iceland with the release of ‘Dyrd í dauðathogn’, which broke all records making Ásgeir’s the fastest and biggest selling debut album by a home grown artist, outselling even Bjork and Sigur Ros. Staggeringly, one in ten people in Iceland own the album! Ásgeir found an unlikely ally in acclaimed US singer-songwriter John Grant, who currently lives in Iceland. Grant helped prepare the English language version of the album including assisting in the translation of the lyrics. The English language version will be released worldwide as ‘In The Silence’ at the end of October. Ásgeir’s lush brand of folktronica is sure to appeal to fans of Bon Iver – in fact, it’s near impossible not to make comparison. Combining both electronic and organic elements, the songs have a timeless, soulful and immediacy with more than a smidge of melancholy running throughout. Meanwhile the unusual poetry of ‘Dyrd í dauðathogn’ has attracted almost as much attention as the music itself, in part because it was mostly written by Ásgeir’s 72 year old father. ‘In The Silence’ is made up of 10 tracks, clocking in at just under 40 minutes. The songs are impeccably crafted folk tunes which are then treated by with warm, atmospheric wash thanks in no small part to Ásgeir’s lush, layered and effected vocals, which will no doubt again draw comparison to Bon Iver both in terms of production and style. Opening track, “Higher” is atmospheric piano driven number that blends Bon Iver with James Blake. The acoustic folky title track follows next and features an unexpected and interesting chord progression. The horns at the end of the track further reinforce the folk influence and in fact steer the song into a territory not unlike his fellow countrymen, Of Monsters and Men. The timeless “Summer Guest” showcases Ásgeir’s beautiful guitar playing as does “Hide Your Head In The Snow” – the latter of which features a gorgeous interplay between electric and acoustic guitars while the electro-glitches add a James Blake or Deptford Goth quality. Meanwhile the up-tempo and funky “King and Cross” even exhibits some John Mayer-esque playing. If you can imagine Bon Iver influenced by 70’s disco and funk you wouldn’t be too far off. The gorgeous and moving “Was There Nothing” is most emotional track on the album but the highlight track goes to the up-tempo “Torrent”. 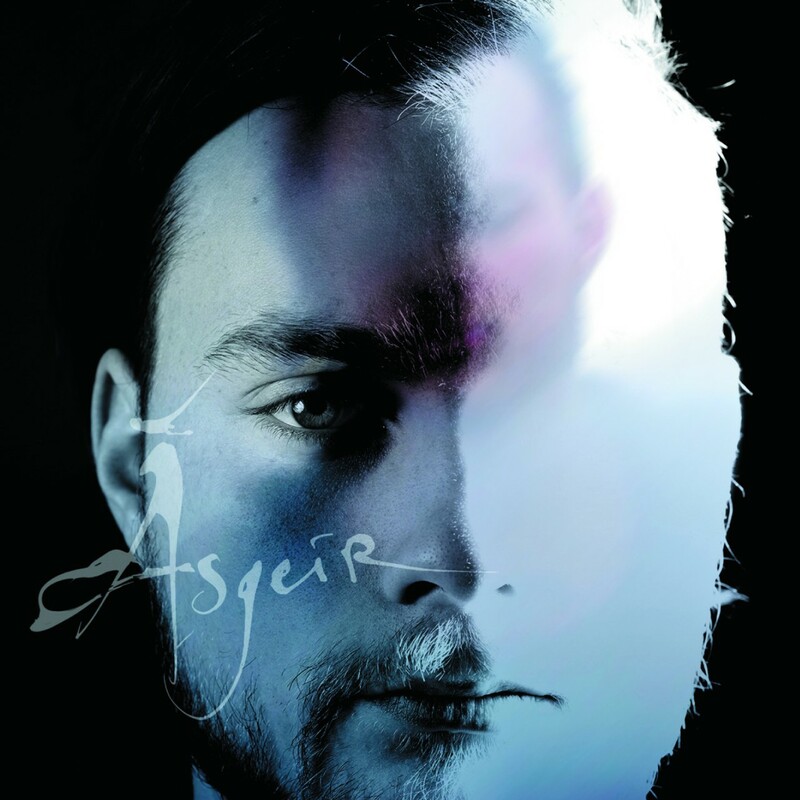 Reintroducing piano this soulful and creatively arranged number really emphasizes Ásgeir’s impressive vocal melodies both throughout the verses and chorus. The most “built up” song on the record, “Torrent” combines strings, snare rolls and bed of distorted guitars to create a heaviness both sonically and in mood. The atmospheric, James Blake-esque “Going Home” is an organ-driven number is another fine example of Ásgeir’s solid songwriting. “In Harmony” is simply pure gorgeousness, combing all the elements that make Ásgeir’s music compelling – lovely melodies, interesting chords progressions and thick atmosphere. When the drums, bass, and piano enter at 1:45 it provides one of the most emotional moments on the record. Album closer, “On That Day” is the most straight-up 60’s folk inspired tune and features just acoustic guitar and vocal. A truly gorgeous and impressive debut record that blends folk and pop with emotion and atmosphere. ‘In The Silence’ was originally scheduled to be released digitally as well as CD and LP on 28 October, 2013 but the release date has been pushed back to 27 January, 2014.